Buy a Book of Danny Strack's Poetry - Expansion, Growth, Rebirth, Forever & More! Purchase a Book Right Now! Danny is the author of 8 original collections of poetry and artwork. Get some here! Click Here to Buy a Copy of Expansion (on Createspace.com) Right Now! Click Here to Buy a Copy of Growth (on Createspace.com) Right Now! Click Here to Buy a Copy of Rebirth (on Createspace.com) Right Now! Other Books - Well, if you want copies of Dny's earlier five books (Blim Blam, Zip Zap, Zowie Kapow, Rrrrrrr Whaapp! 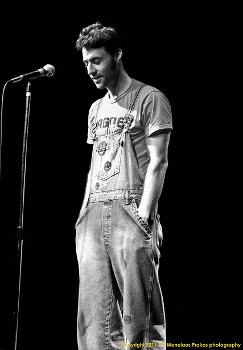 & Forever), your best bet is to come see him at the Austin Poetry Slam. He'll have copies on him. You can also email (see the contact page), or find him on facebook. Click here for more info on Danny's first 5 books!